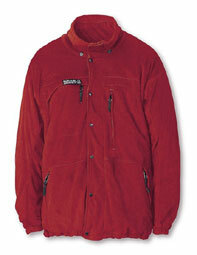 Material: The Paramo Taiga is made from a soft, very comfortable and warm fabric. Performed well keeping me warm and fended off a strong wind. Fit: Tester: male, 5'10", stocky build. Extremely roomy with generous sleeves and cuffs. Adjustable neck and waist drawcords are unobtrusive and work well ensuring a snug fit round the neck and waist. Cuffs are elasticated and poppered for adjustment. Has a scooped tail section at the back to protect the kidney area when bending or stretching which works superbly. Collar: Good and high to protect my neck from the wind and rain. Zips goes all the way to the top of the collar. Collar has additional drawcord for a cosy fit. Pockets: Four excellent zipped pockets. The two waist pockets are large enough to keep gloved hands nice and warm. The two large chest pockets are big enough for an OS map, compass, GPS, camera and whatever else you want close at hand. Zips: Front zip and pocket zips tagged for easy opening. All zips ran smoothly. Front zip has a poppered covering flap. Other considerations: Superb walking garment for all conditions. Can be worn as a stand alone garment (with a single base layer underneath) or in combination with a lightweight windproof shell jacket for complete weather protection. At 892g it is quite heavy for a fleece - but is designed to be worn instead of a heavy waterproof - not as well as. Technical performance of the Paramo Taiga is excellent. Fits well and has a good combination of features for temperature control at cuffs and waist. Superb pockets. Having said that it is too warm and heavy for summer. Needs a lightweight outer shell to give total directional waterproof protection.